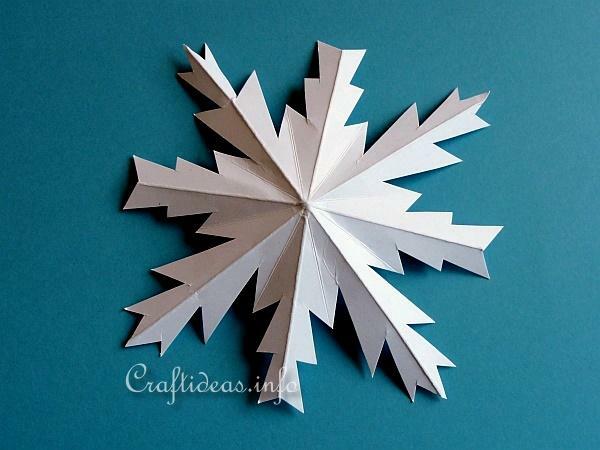 After making dimensional 5-pointed and 8-pointed paper stars it came to mind that dimensional snowflakes can be made using the same technique. These are the results of the first try. 1. 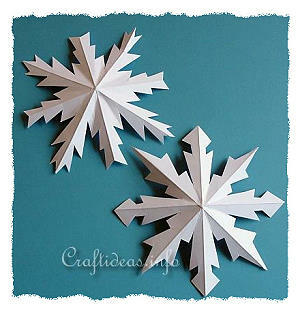 Print out the snowflakes template in a size of your choice and glue the pattern on a piece of cardboard. Cut the snowflake out. Now you have a stable template to trace around. This template can be used over and over. 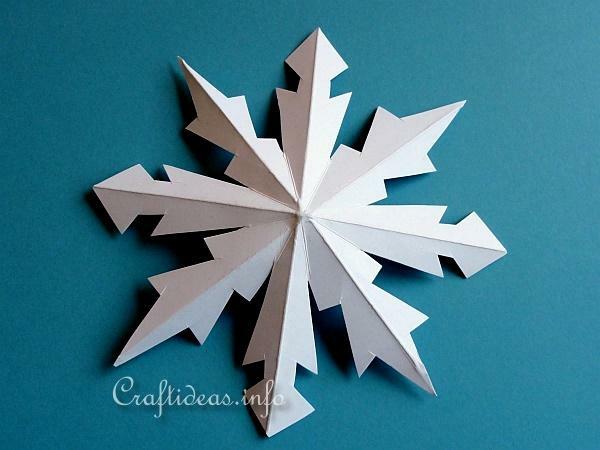 Trace the snowflake shape now onto white cardstock and cut out. 2. 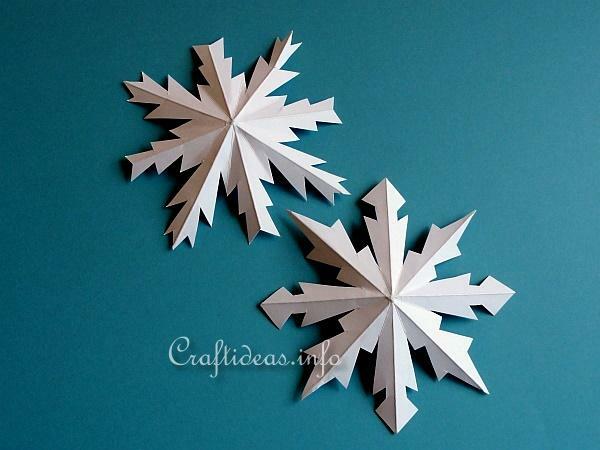 Follow the illustrated step-by-step Eight Pointed Star Tutorial to create these snowflakes. The technique is the same, just the shape is different. The pattern shows the creasing lines. The solid lines get creased on one side of the snowflake. Then turn the snowflake over and crease the dotted lines. This is a close up view of a snowflake. The pattern is for these two particular snowflakes but any symmetric snowflake pattern should work well using this technique. 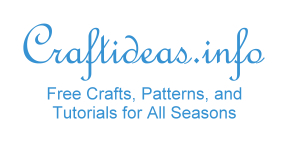 You will find more snowflake patterns on our winter and Christmas pattern pages.